Euroa based breeder Ken King has announced that his Group 1 winning stallion Bon Aurum has been retired from racing with a stud career now beckoning. “It was time to call it a day. He still had the will to win, but his niggling issues probably stopped us seeing the very best of him,” Ken King said. The five-year-old had 15 career starts for five victories, showing precociousness as a two-year-old winner, going on to claim two stakes wins as a three-year-old, one at Flemington and the other being the Group 3 Caulfield Guineas Prelude. The son of Bon Hoffa then won the time honoured Group 1 Sir Rupert Clarke Stakes over 1400 metres as a four-year-old. His earnings were just shy of $600,000. “He can now enjoy his days in the breeding barn, passing on his strength and talent to his progeny. Even his trainer, Ciaron Maher rated Bon Aurum as one of the toughest horses he has trained, able to push through the pain barrier,” King said. Those horses he ran and beat included the likes of Tivaci, Tashbeeh, Ulmann, Spieth, Voodoo Lad, Fast ‘N’ Rocking and Jungle Edge. 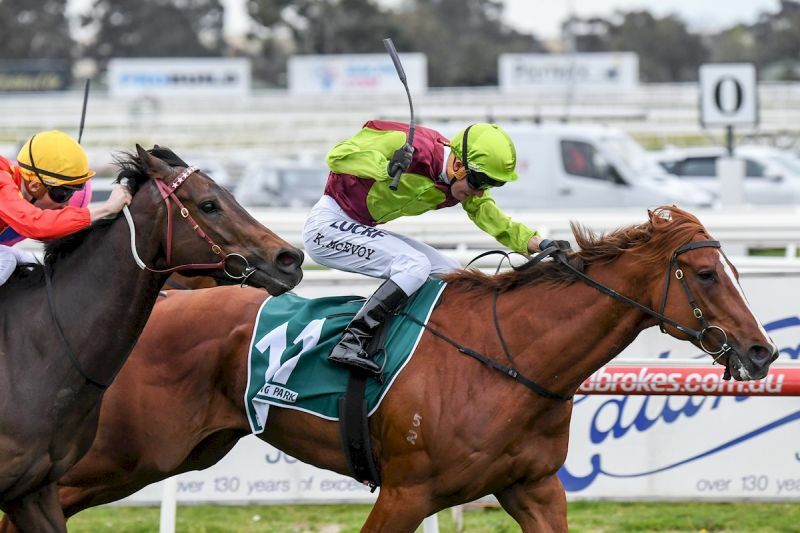 The Sir Rupert Clarke Stakes win saw Bon Aurum emulate his sire Bon Hoffa who won the same race back in 2007, but King believes the son was a superior racehorse. “I believe Bon Aurum surpassed his father both in performance and quality as a type. He won at two, whereas Bon Hoffa (only) won as a late three-year-old, and Bon Aurum raced at the elite level at three and four, whereas his sire was five (when winning the Group 1),” King said. “This will really help Bon Aurum’s commercially attractiveness to broodmare owners who want to see their horses competitive earlier. He will throw progressive and precocious types, coupled with resilience and tenacity. “Although the (other) owners would love to hang onto him, they are not breeders, so it makes better business sense to place him at a stud that can help him succeed commercially as a stallion. He needs numbers to make his mark as a producer of tough, fast and affordable horses.